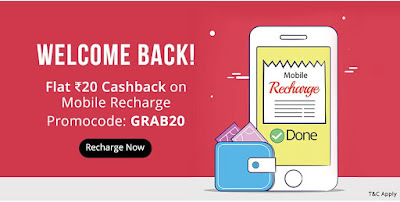 Paytm GRAB20 - Get Rs 20 Cashback on Rs 20 Recharge (Account Specific), yes now paytm is back again with recharge offer, here paytm is now offering Rs 20 Cashback on Rs 20 recharge, So grab it fast, this code is account specific, So must try this now. Note:- Valid for Almost ALL USERS, You can also Try GRAB50 for Rs 50 Cashback !! 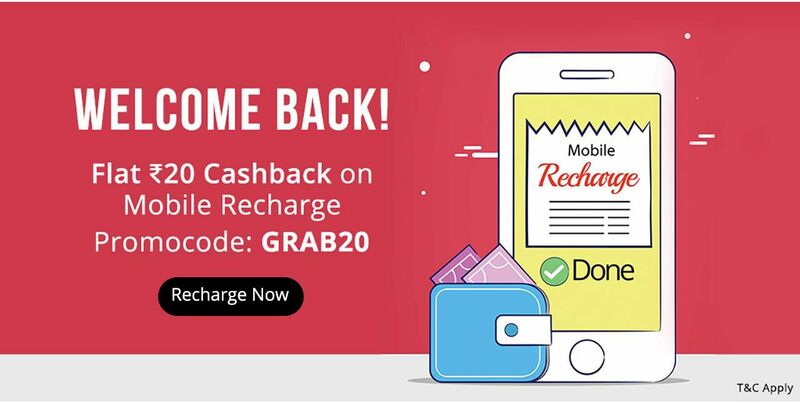 How To Get Rs 20 Cashback on Rs 20 Recharge ? 6) That’s it, your cashback of Rs 20 will be added successfully into your account within 24hrs of the suceessfull transaction.